Wizards of the Coast has grown into a colossal publisher of role-playing games since debuting Magic: The Gathering in 1993. This strategic card game is filled to the brim with deep lore and compelling backstories with every set or expansion released. Magic: The Gathering tells rich stories through “flavor text”, or additional text, on their playing cards. They continue these rich stories through additional books, comics, and articles that dive deeper into the Magic lore. Wizards of the Coast, or more primarily known as Wotc, also bought Dungeons & Dragons back in 1997. For the past 21 years, Wotc has primarily kept these two story streams separate...until now! Guildmaster’s Guide to Ravnica will be released on November 20th, and there is a lot to be excited about. Wotz has officially crossed-over these two worlds with the promise of more to come. 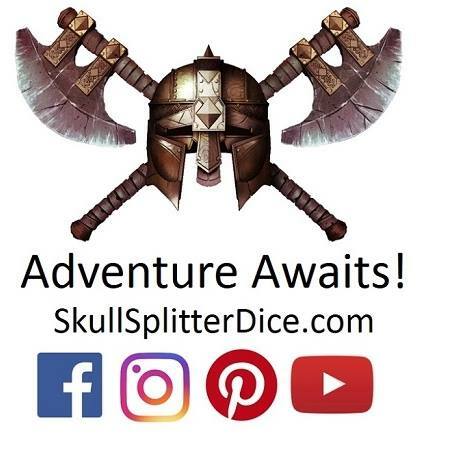 To make this crossover even more epic, Wotc is integrating the 10 guilds of Ravnica into the world of D&D. What are the 10 Guilds of Ravnica? Let’s start with mana! An integral part of the Magic: The Gathering (MTG) are the five sources of differently colored mana. There is one source of uncolored mana, though that isn’t relevant to this story ark. The Guilds of Ravnica can be characterized by the 10 different combinations of two mana colors. Each mana color represents a different value system and fighting style related to each color. The religion and mythos behind each mana color will probably be altered in the Guildmaster’s text, as it clashes with religion and practices already established in the world of Dungeons & Dragons. At their core, both Dungeons and Dragons and Magic: The Gathering share many similarities in value. When comparing the 10 guilds of Ravnica to the mythos of DnD, there are many attributes that closely mirror the Alignment system. To Dungeons and Dragons readers who are less familiar with Magic: The Gathering, it may seem like a lot to catch up on. 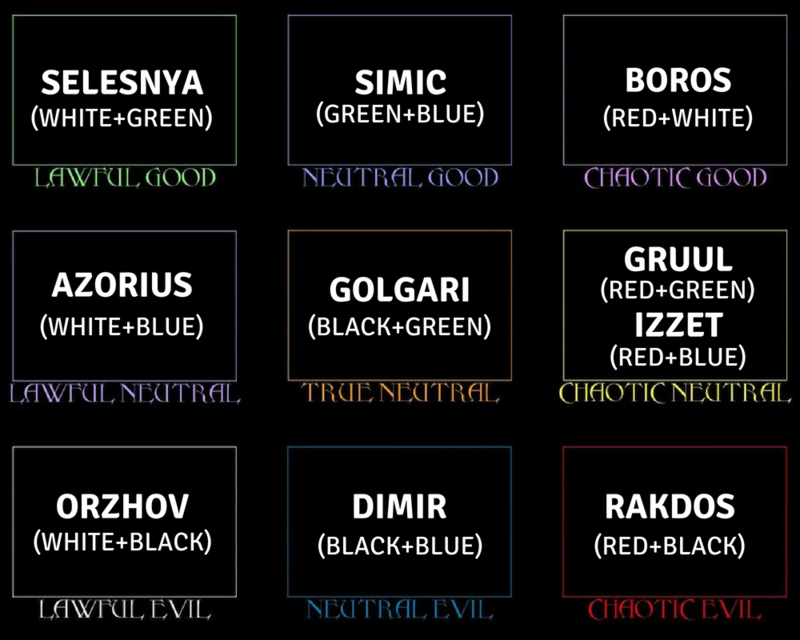 To those looking to dive deeper into Wizards lore, let’s use the Alignment System to break down the 10 Guilds of Ravnica. Alignment represents the “side” a character lies on the scale of morality and personal value. There are two factors in measuring a character’s alignment. 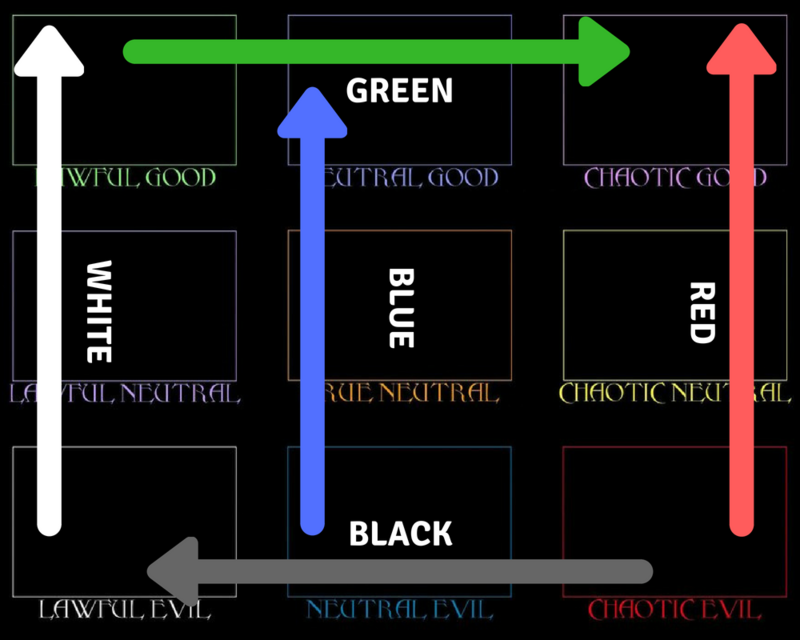 On the morality scale, a character is measured by good, evil, or neutral. On the ethical scale, a character leans toward lawful, chaotic, or neutral. 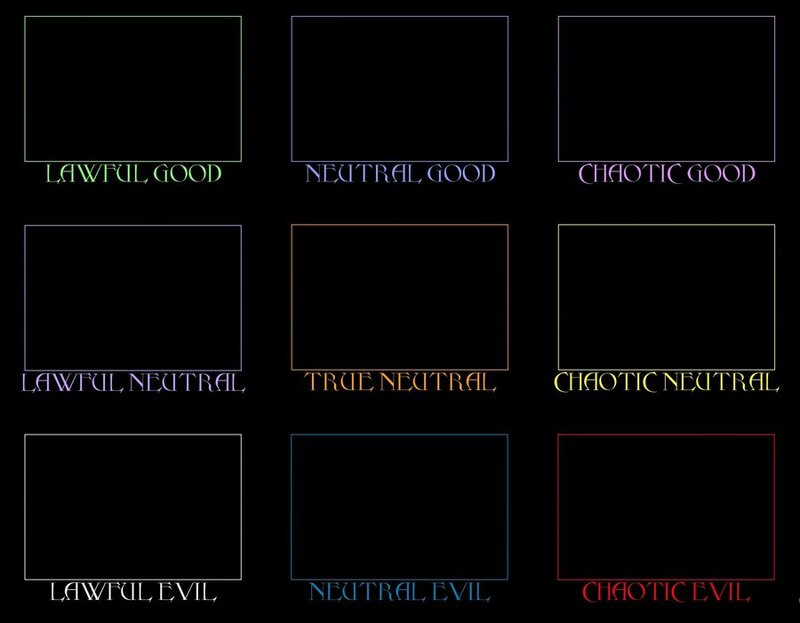 There are a total of nine alignments, and each combination drives a character very differently. A good individual strives to protect the interest of the group above the interest of themselves. Conversely, an evil individual holds the protection and interest of themselves above the interest of the group. In a battle scenario where a group of adventurers is close to death, a good character may react differently than an evil character. A good individual may play the “hero” role and sacrifice themselves to save the group. Think Gandalf the Grey from Lord of the Rings. An evil individual may be focused on their own wellbeing, fleeing the scene to ensure their own survival. They may even loot the recently deceased party after the threat leaves. That being said, a character categorized as evil does not necessarily mean they’re a murderous and horrible individual. It simply means they’re not as willing to risk their lives in a combat situation. Apply this idea to other goals and combat situations, and you’ll have greater insight into the mind of your assigned character. Black wholeheartedly shares the same, self-serving attributes that define evil in the D&D. White seems like the obvious choice for good, but in the MTG mythos, white leans closer to lawful. Red is known for fiery passion, chaos, and unpredictability. Red is an easy transition to chaotic. Green has a strong connection to nature and an unyielding belief of "one for all." Green values community above all else, making the perfect fit for good. Blue would rather prevent action than take action during most battle scenarios. Blue values progress and knowledge above all else, making an easy fit for neutral.